The goal of the ACLS EP Certification Course is to improve outcomes in complex cardiovascular, respiratory and other (eg, metabolic, toxicologic) emergencies by expanding on core ACLS guidelines and encouraging critical thinking and decision-making strategies. Through instruction and active participation in case-based scenarios, learners enhance their skills in the differential diagnosis and treatment of prearrest, arrest and postarrest patients. ACLS EP course content reflects the most current science from the AHA Guidelines for CPR and ECC, American College of Cardiology Foundation/AHA Guidelines for the Management of ST-Elevation MI and ACCF/AHA Guidelines for the Management of Patients With Unstable Angina/Non-ST Elevation MI. 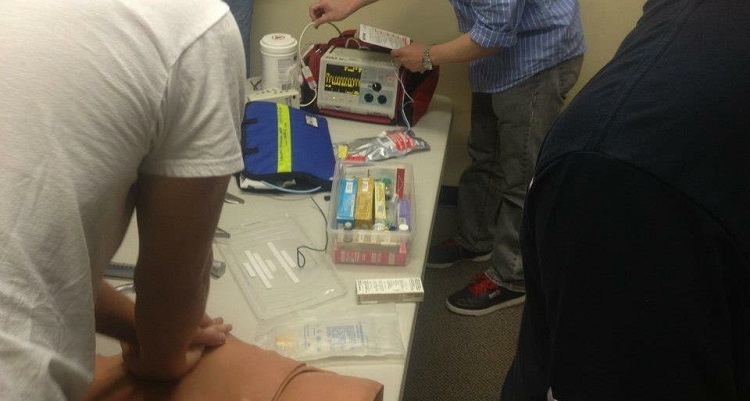 This certification training class is designed for seasoned healthcare providers who are proficient in performing BLS and ACLS skills, reading and interpreting ECGs, and understanding ACLS pharmacology and who regularly lead or participate in emergency assessment and treatment of prearrest, arrest or postarrest patients. Upon successful completion, learners receive an ACLS EP course completion card, valid for 2 years. The ACLS-EP course fulfills the requirements of an ACLS renewal course and the Cascade Training Center issues a standard AHA ACLS course completion card in addition to the AHA ACLS EP course completion card to alleviate any credentialing confusion with the Joint Commission or other licensing/credentialing entity. To find Upcoming ACLS-EP classes, please enter your zipcode and click 'Search' below.